Luxurious single story home with 4 bedrooms & 2 full baths situated on 2 acres of neatly landscaped land. With a stone and stucco exterior, this home was all skillfully crafted in 2587 sq. ft. Greeted with an open floor plan, this custom built home features 10 foot vaulted ceilings, brazil granite, stainless steal appliances, recessed lighting, & two wood burning fire places both inside & out. The master suite includes a wrap around shower & is located on the opposite side of the additional bedrooms. For more information, contact one of our REALTORS today! Luxurious single story home with 4 bedrooms & 2 full baths situated on 2 acres of neatly landscaped land. With a stone and stucco exterior, this home was all skillfully crafted in 2587 sq. ft. 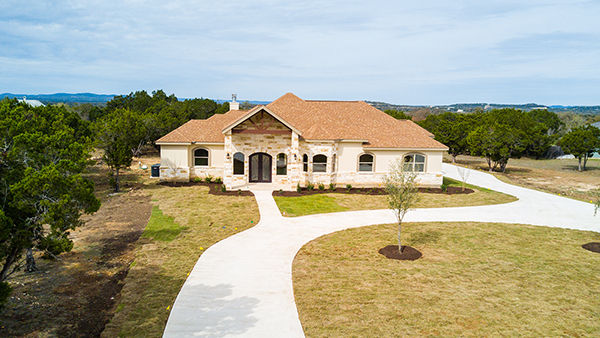 Greeted with an open floor plan, this custom built home features 10 foot vaulted ceilings, brazil granite, stainless steal appliances, recessed lighting, & two wood burning fire places both inside & out. The master suite includes a wrap around shower & is located on the opposite side of the additional bedrooms.